Separated from her family in Auschwitz. Did she find them again? Rosa Gelbart was born in a city outside Lodz in 1927. During the war she and her family were moved to a ghetto in Lodz. In 1943 they were they were deported to Auschwitz. Three of Rosa’s siblings among with their parents died. But Rosa, her sister Fela and two other sisters survived. Rosa was first transported to a Krupp-factory in Berlin were prisoners were forced to work. Eventually she was forced to a death march towards the concentration camp Ravensbrück. At the end of April 1945 she was released and rescued by the Swedish Red Cross. Rosa remembers that she and the other prisoners were led through the staff entrance instead of the main gates, where they had arrived. This made Rosa suspicious. Right outside the staff entrance there was a beautiful lake and Rosa feared that the germans were about to drown them. Or that the White Buses waiting outside would transport them back to Auschwitz. It was later revealed that the women’s ashes from the camp crematorium’s three ovens were dumped in the lake. 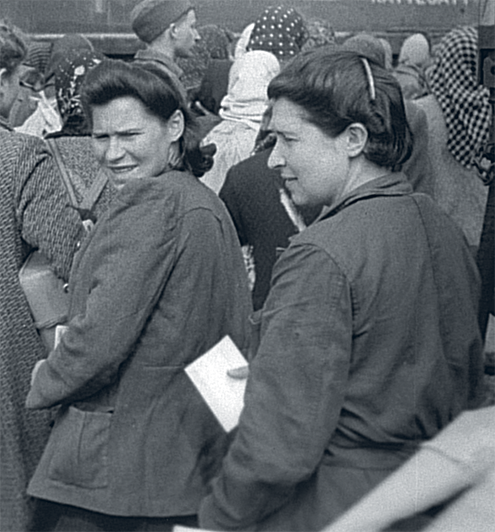 Rosa’s hesitation about getting on the bus made a few girls from the Red Cross come over to her and explain on broken german that their intentions were friendly. Still suspicious and scared, Rosa eventually got on the bus. They were offered food on the bus, Rosa whom hade not eaten properly in six years got sick. On the way to Sweden the buses were suddenly under attack and Rosa and the other passengers had to hide in the forest until it passed. Rosa was reunited with her sister Fela in Copenhagen, they had been separated since Auschwitz, not knowing if the other one was alive. After arriving in Malmö the were sent to stay in quarantine in Anneberg and then further on to Nässjö. Where Rosa started to work at a textile factory and eventually met her husband Berndt. Rosa doesn’t like to talk about her experience as it awakens to many dark memories but has been open about her story to her children and grandchildren. If you can help us with further information about Rosa Gelbart we will be very happy to hear from you. Please write an email to our researcher Sebastian. 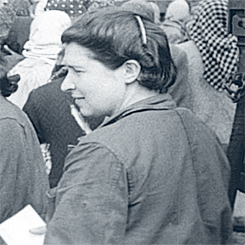 Rosa(on the right) with her sister Fela in Malmö harbour on April 2, 1945. 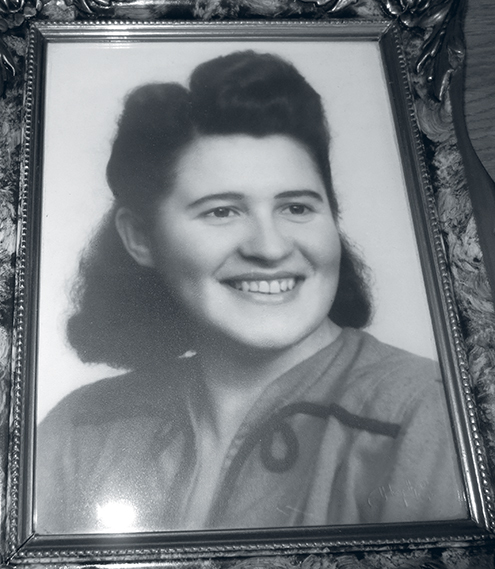 A portrait of Rosa from 1947. 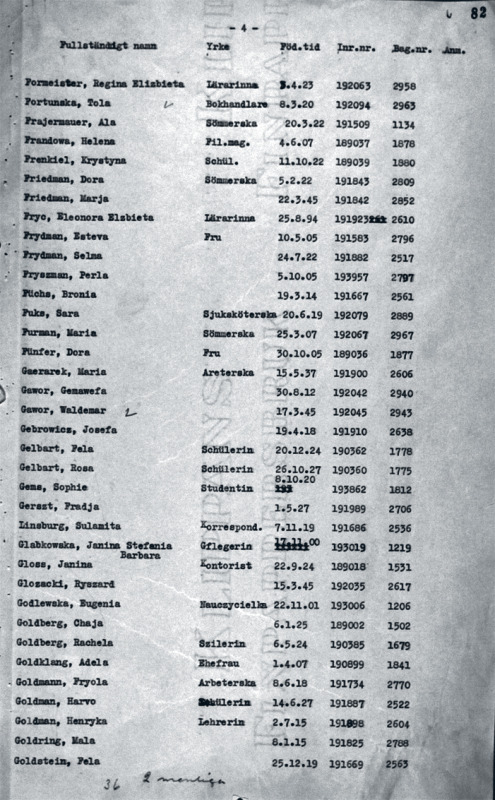 Passenger list from April 28, 1945.